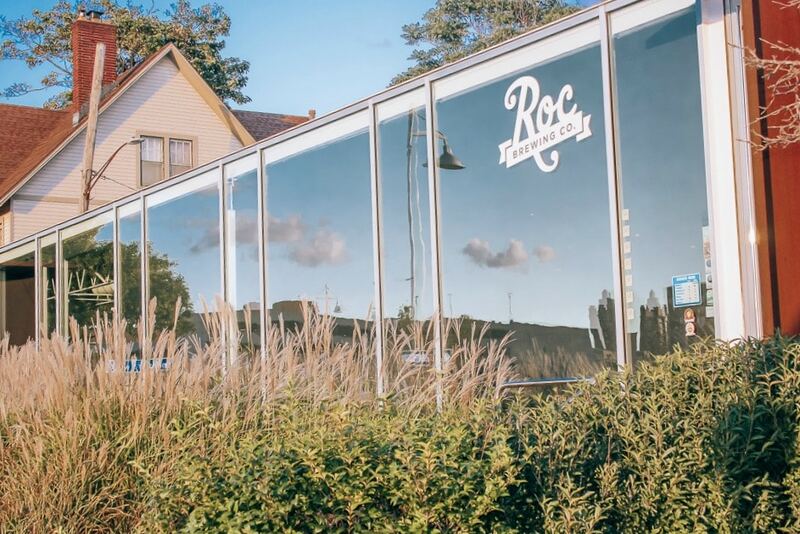 Have you ever been to Rochester New York? If you haven't, I absolutely recommend it as a weekend city break or a longer vacation. I just came back from a week in upstate New York and I'm in EL-OH-VEE-EE LOVE with this area of our country. If you think New York is just the Empire State Building and Times Square (although those things are awesome) then make it a goal to branch out. 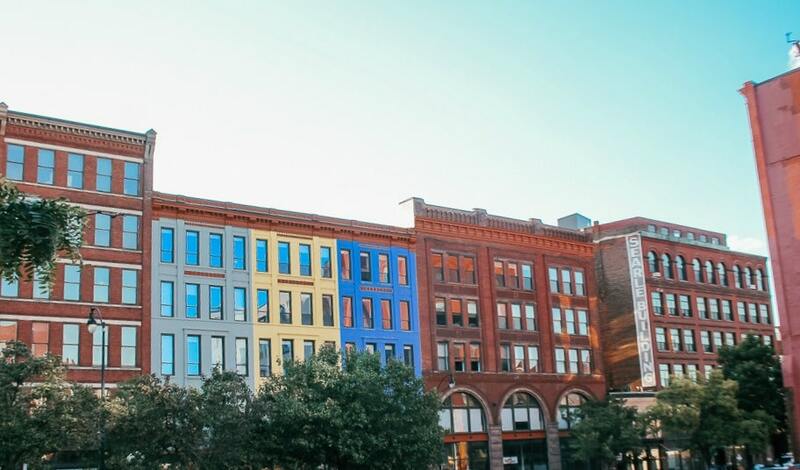 New York State is amazing and a great place to start is Rochester. I had an opportunity to explore this utterly charming city recently and I have lots to say about it…but for starters, we'll talk about Rochester Pedal Tours: The BEST way to see the city. Yes, it's as fun as it looks. 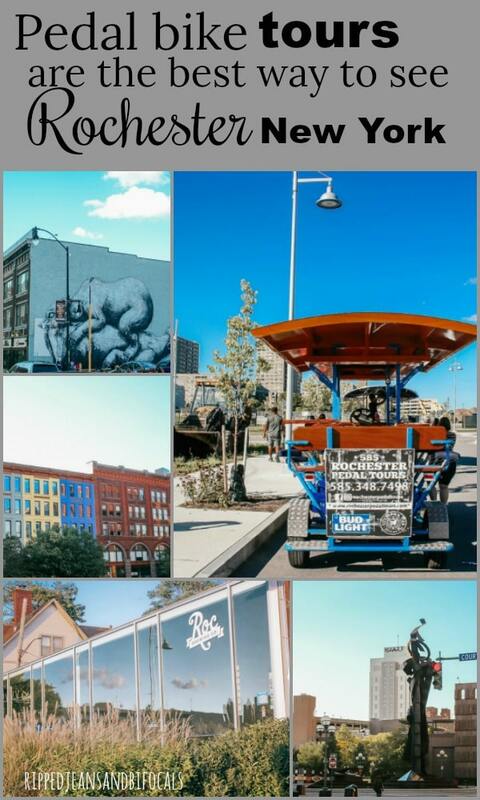 Rochester Pedal Tours allows you to explore the downtown Rochester area on a two-hour pedal bike ride. I went on a really fun tour as the guest of Visit Rochester and I absolutely loved it. I stayed in Rochester as a guest of the city and all of my activities were complimentary but all opinions are mine. What is a pedal bike? And, make sure you have a responsible plan for getting back home/to your hotel after your pedal tour. 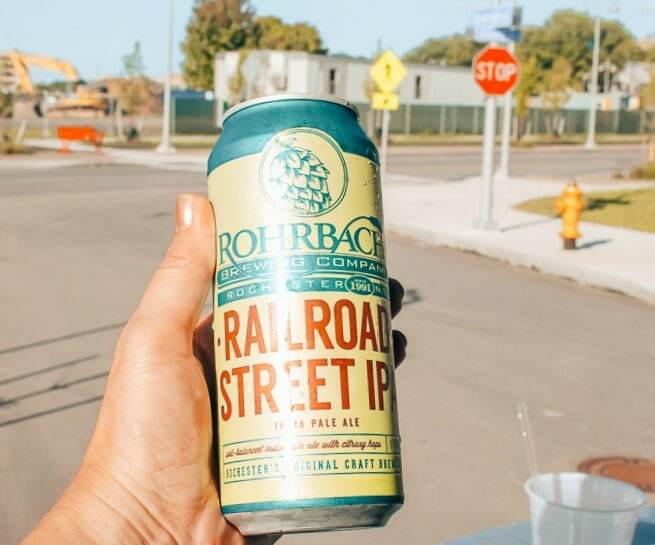 Rohrbach Brewing Company Railroad Street IPA is my favorite local brew. They also have a second runner up called Space Kitty, which almost took the numero uno spot due to the creative naming alone, but Railroad Street was pretty awesome. 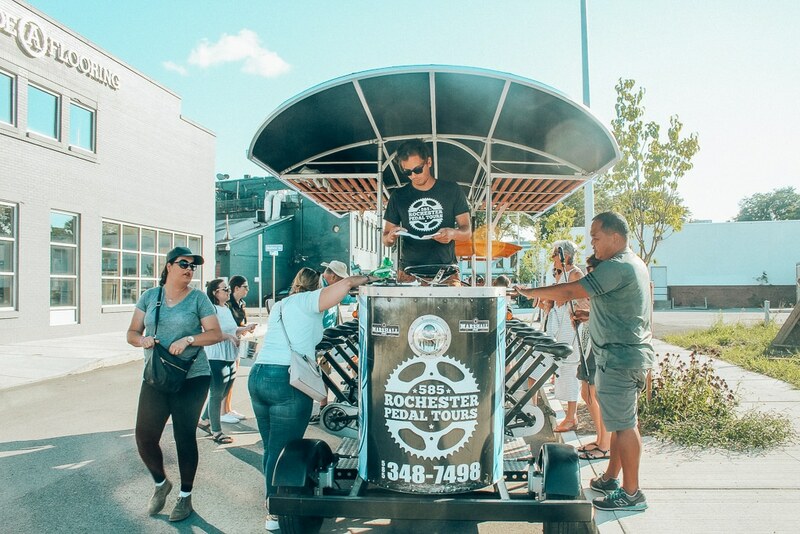 Check the Rochester Pedal Tours Website for the different offerings and you'll find the best fit for your group based on interest and season. Did you know it snows up here? You wouldn't know it by the balmy September weather during my visit. I definitely brought the Texas heat and humidity North. We got to see a good bit of the downtown area and really get a feel for the vibe of the city. 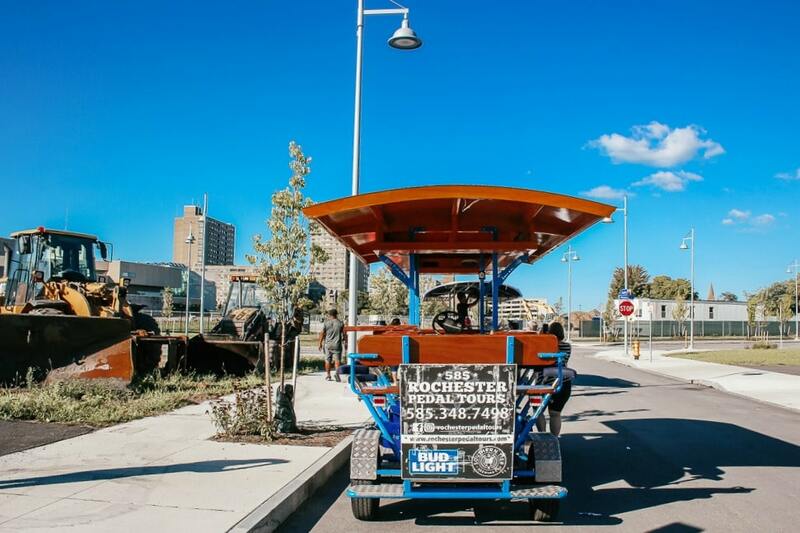 Rochester Pedal Tours are BYOB…and there's plenty of space for your coolers. It's also BYO Playlist, which is a super-cool feature. Your pedal tour driver will plug in your device and your show tunes, heavy metal, or late 90's R&B dance tunes (ahem) will fill your space while you work those buns. Your driver is your trusty navigator, issuing commands like pedal, coast, or dig dig dig. That last one you really don't want to hear…or so I'm told. Basically, you pedal uphill, coast downhill or as you're approaching traffic lights and dig dig dig if your crew members are being lazy daisies. Fortunately we didn't hear the “dig dig dig” command on our ride. It must have been all my awesome pedaling to make up for some of the slackers in our group (ahem). 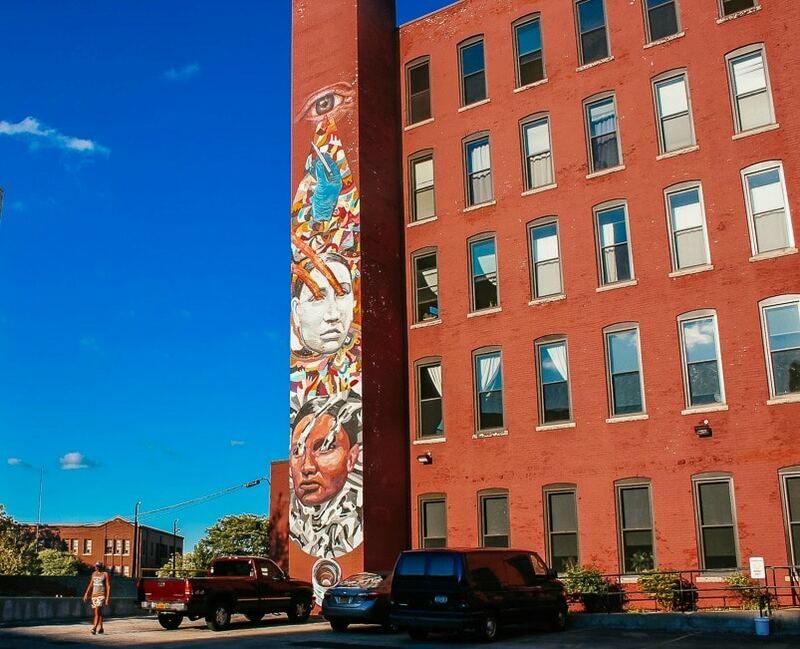 Wall Therapy is an art and community intervention project, using public murals as a means to transform the urban landscape, inspire, and build community. 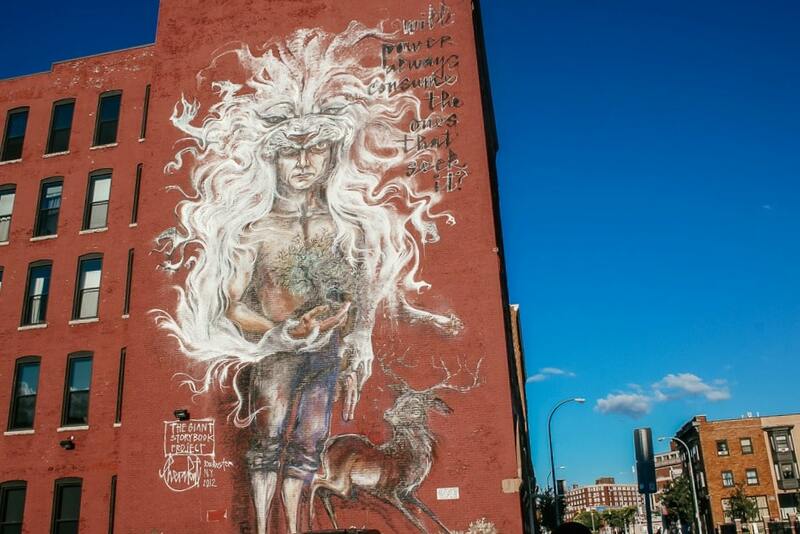 It is very evident in downtown Rochester (which is an Instagrammer's paradise.) 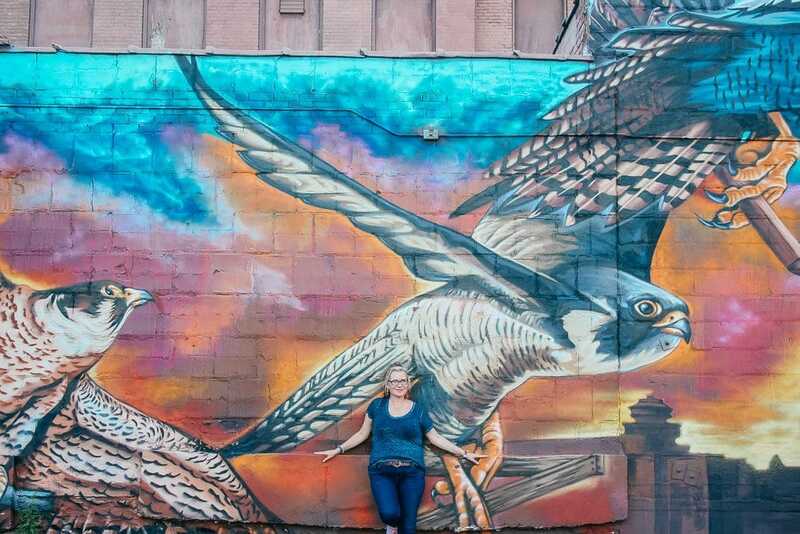 Every wall has a story and means something different to the community members who view these vibrant pieces of art every day. With power always comes the ones that seek it. Something to ponder for sure. If we forget our passion our hearts go bland. You get a great feel for the city and orientation by taking the Rochester Pedal Tour. If you do this early in your visit to Rochester, you're likely to see a lot of “hey, I wanna do that's” while you are riding. There is really a TON to explore and do in this city. I spent a whirlwind Friday a.m. to Sunday night in this gem of a city and left thinking “But wait, I still wanted to…” which is the sign of something we need to put on our “re-do” list. Amiright? 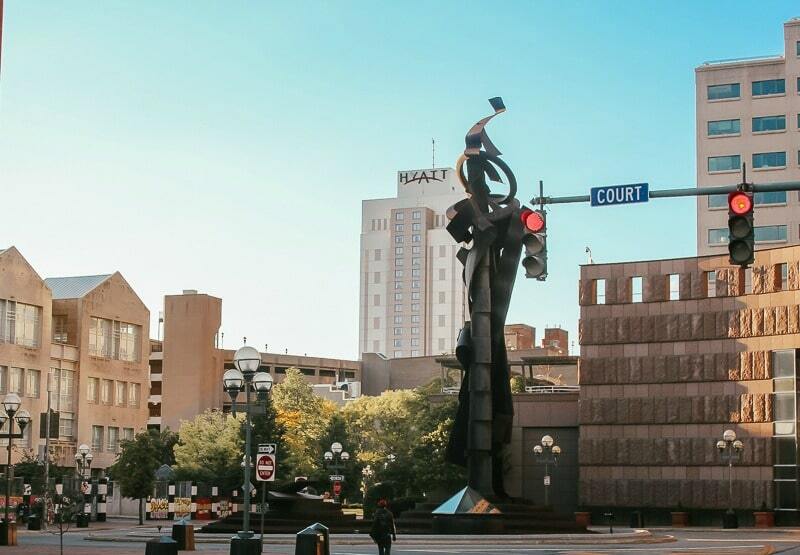 We stayed in the beautiful Hyatt Regency in Downtown Rochester. So luxurious and centrally located. Lots of stuff walkable from here. Is the Rochester Pedal Bike Tour for you? Well, probably. They're very friendly and welcome a variety of people and groups. If you don't have the requisite number of people to make your own tour, you can join an existing tour on a space available basis. If you're interested in taking kids on Rochester Pedal Bike tours, I recommend you contact them in advance of your visit. Basically, if you can reach the pedals, you're physically capable of doing the tour, but some of the routes are pretty adult centered, i.e. brewery and bar tours. However, I've found Rochester to be a pretty family friendly town, so if you REALLY want to do the Rochester Pedal Bike Tour with your kids, I recommend you contact them directly to chat about your options. I am pretty much in love with upstate New York – despite the very un-hospitable heatwave they dared to have during my visit – and I'm busy planning my return trip…and yep, with my kids. I sort of have visions of sitting back and sipping a Rohrbach Brewing Company Railroad Street IPA while my small humans' leg power me through downtown Rochester. Maybe not exactly like that…because what trips with kids ever go as planned…but I do know these two things: my kids will see Rochester next year and the Rochester Pedal Bike Tours are seriously a kick-A way to see this oh-so-charming city.